If you have been around, you know that I am not a "big" shopper. I believe in quality shopping at the best available price - Less is More! Which brings me to one of my favorite places to shop at Clarksburg Premium Outlets. My favorite thing about the outlet is that they are just a 20 minute drive from my place, talk about convenience. But also the variety of stores that they have there from All Saints, Armani Outlet, BOSS, Clarins, Kate Spade and more. Last weekend I attended their Summer of Likes Event, which was one a kind fashion event I have ever attended. Imagine a day designed just for shoppers where they can have a bit of fun and a personal shopping experience at the same time. The participating retailers included Tory Burch, Adidas, ,Calvin Klein, Nike, Polo Ralph Lauren, Tommy Hilfiger and Under Armour. Clarksburg Premium Outlets created an ultimate digital-meets-experiential event at the VIP Reward Days: Summer of Likes where shoppers could experience their favorite brands in a new way through unexpected, personalized takeaways and activations, such as themed photobooths, interactive games, engagement walls, pop-up bars, gifting stations and more! 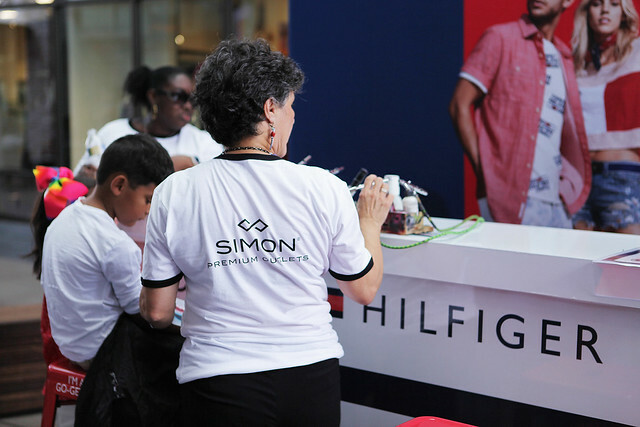 At the event, Clarksburg Premium Outlets VIP Club Shopper Club members had to check in at any one of the seven on mall activation areas marked VIP Reward Days to receive their customized RFID wristband that highlighted their own personal preferences and style. Such as sweet or tangy, go-getter or a motivator, and so on. This wristband provided exclusive access to special Summer of Likes stations during the event. You can get a sense of the event form the pictures below or checking out my Insta-Story highlight "Clarksburg PO". 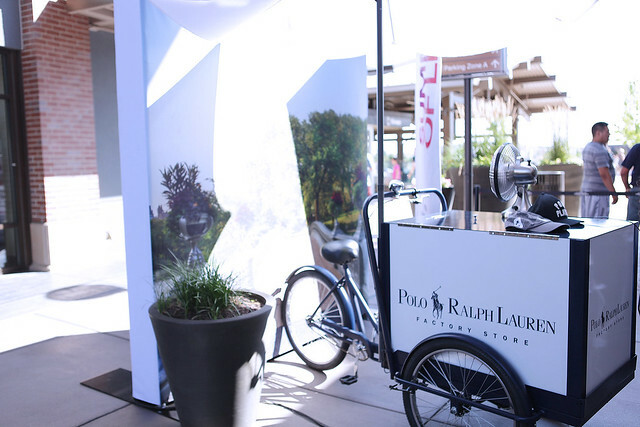 Everything at the event was personalized, and created one-of-a-kind shopping experience. 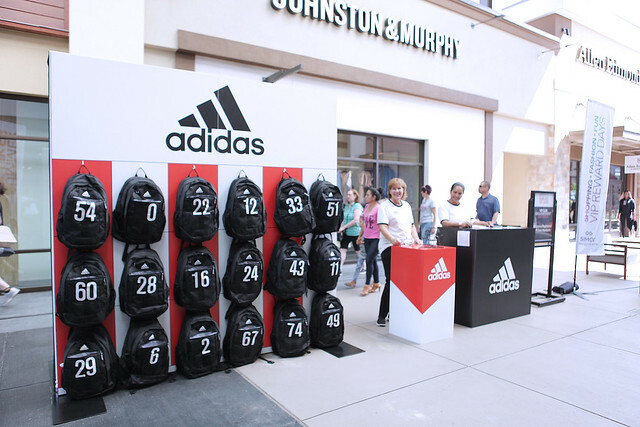 Chance to play bingo to receive a discount at Adidas. Now on to the good stuff - Shopping! What did I buy? I went in with a list. 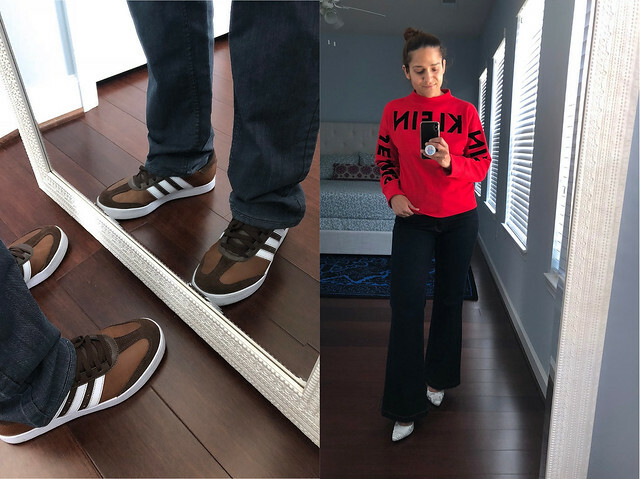 I wanted to get a few things to upgrade my closet (lingerie, and such) and a few pieces for fall, and last but not the least a complete workout look. 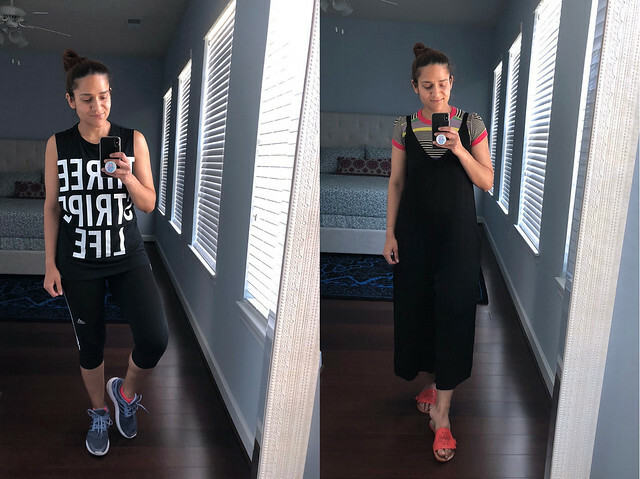 If you don't yet, this is a good time to mention my love for workout gear, athletic shoes, and all things fitness. Majority of my shopping budget goes to adidas simply because I wear is 6 days of the week. Fair enough, right? This whole look (except) shoes is from Calvin Klein. I am in love with these skinny jeans. They fit like a dream and have adequate amount of stretch and make me look slim, what else could I want? Check out the outfit post here. 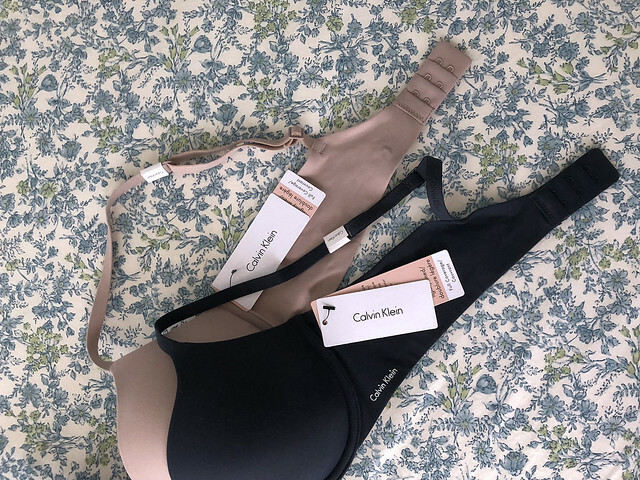 Again from Calvin Klein, I picked a few bras, as I was in dire need of them. The best thing was that with activation I received 20% off $200 on top of the storewide sale. (Left) Tank, tights, and shoes (lavender!) are all from adidas and I picked up two of each just because! (Right) The flats are from Tory Burch and I am hoping to get some good wear out of them before summer leaves. That's a lot of shopping for someone like me. I better stay underground till winter now. ;) Jokes aside, Summer of Likes event was so much fun and such a great way to shop and save at the same time. If you’re not already a member of our VIP Shopper Club you better sign up before the next event. Members have ongoing access to exclusive online offers not available to the public and receive periodic updates with news and value-driven opportunities, in addition to a Savings Passport available at the center or online. Join for free here: premiumoutlets.com/vip. See y'all at the next event. This post is in collaboration with Clarksburg Premium Outlets. You got some great stuff!! I love shopping at outlets! We’ve been to Clarksburg Premium Outlets while visiting family nearby. Next time, I’ll have to dig. Up for the VIP club! Thanks for the tip. I love shopping at the outlets, it's such a great time and I love being able to do one stop shopping! This really looks like fun event with lot to indulge in shopping. You look jubilant. You scored some great deals!! Sounds like a fun event! That looks like such a fun event! I love all of the cute store carts! I wish our outlet mall was closer and did fun stuff like this! Simon outlets are my favorite! They're so much fun because you have so many stores to choose from and so many discounts to take advantage of! Now I want to go visit an outlet mall! I love this idea! You got such great stuff. And, I really like the idea of doing all your shopping at once. I love Premium Outlets!! You got pretty good deals. You picked out some awesome pieces, and great deals too! Love that red sweatshirt! Oh my gosh this sounds so fun! I love how many stores did different engagements/activities! I must say you have some great comfy collections. You have a good taste too. 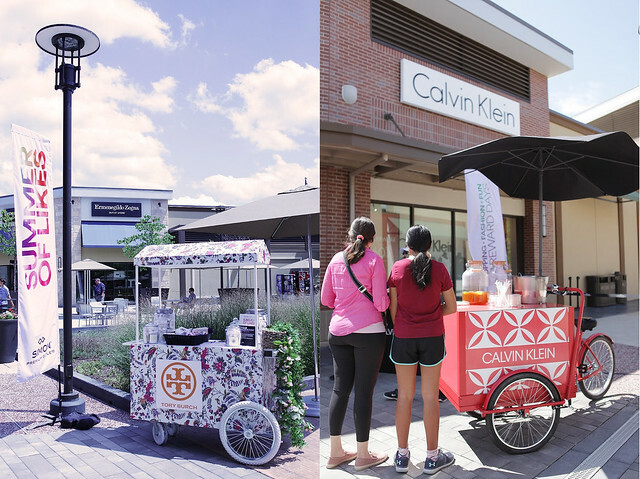 I mostly prefer Clarksburg Premium Outlets to shop..
Love all of the little pop-ups throughout! Looks like such a great and worthwhile event. I love shopping and this place would be a paradise for me. Thanks for the review. 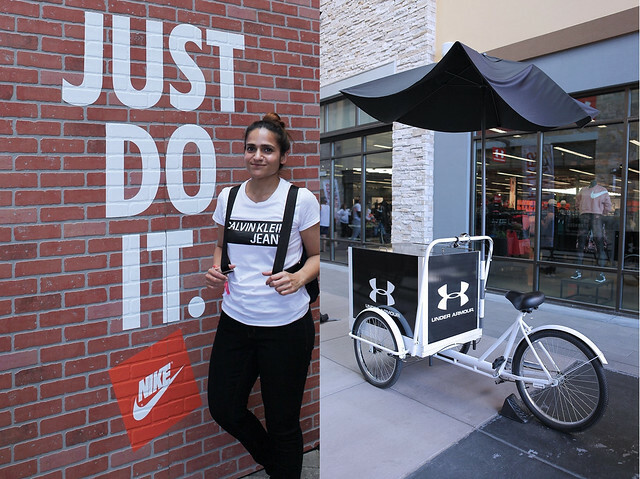 Outlets are always fun to shop at and this event looked like so much fun! Looks like you got some great stuff. I love events like those. This sounds like so much fun!! Looks like you got some awesome goodies too!! My kind of event! This looks like such a neat event! And I'm obsessed with that red sweatshirt! Going in with a list was such a smart idea! Looks like you picked up some great stuff! Looks like so much fun!!! Lots of goodies too. This looks like so much fun! I love the outlets! What a wonderful event! everything looks so well organized. I love the pieces you shopped for, I am a bit like you not a huge shopper (for clothes or shoes). Just before the summer I relaized I hadn't bought a new bra since my first pregnancy (that was 7 years ago!!) so I got 4 new of them. Yes, that's how I shop, lol. I attended the Summer of Likes event at my local outlet and had so much fun!! Looks like you got a lot of great things! I adore your style Tanvi you always make everything look so effortless and cool! It looks like a brilliant event too!